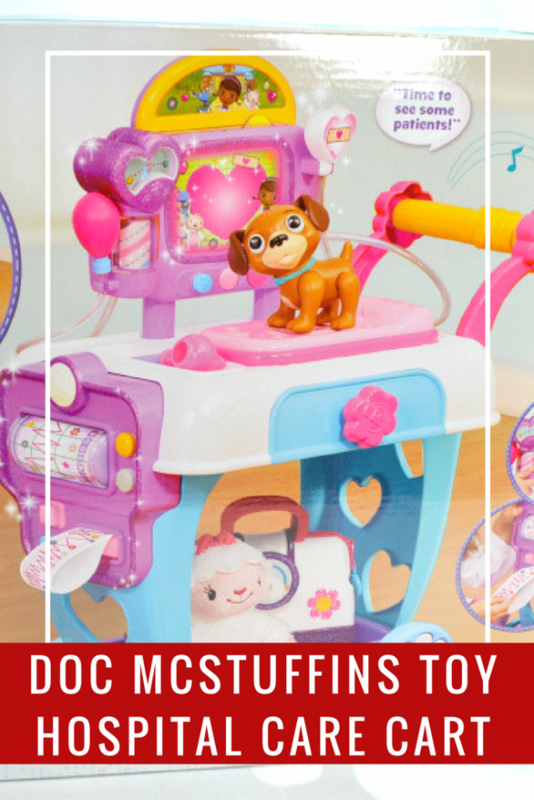 Do you have a child who loves Doc McStuffins? 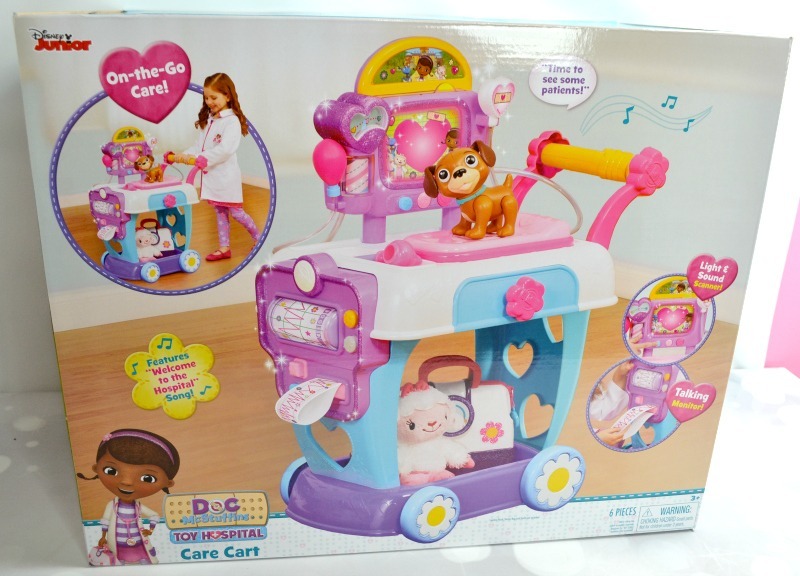 They are sure to love this Doc McStuffins Toy Hospital Care Cart then! The Doc McStuffins Hospital Care Cart is perfect for any lover of this cute show. They will get to perform on-the-go checkups thanks to the light and sound patient scanner with interchangeable X-ray card, a talking EKG area with a printout EKG roller, a kid-powered blood pressure pump, a real working drawer, and a patient bed. You even get a patient to perform on – Findo! 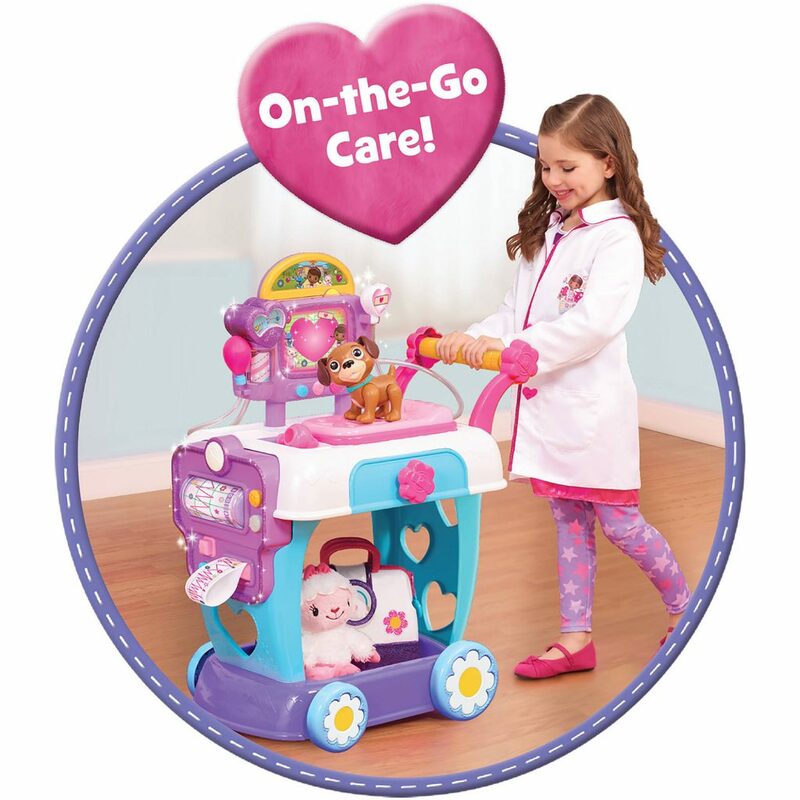 This is such a cute on-the-go care cart that I just know your Doc McStuffins-lovin’ child is going to enjoy. They will especially get a kick out of hearing the “Welcome to the Hospital” song that is on the show. This so so cute. This show came long after my kids were at the age to enjoy it. However I do still have nephews who might find it enjoyable.